We would like to invite you and encourage you to attend the MCCW Pacific Regional Retreat, Strengthen by Grace. We will spend our time examining facets of grace, all coming from our Lord Jesus. 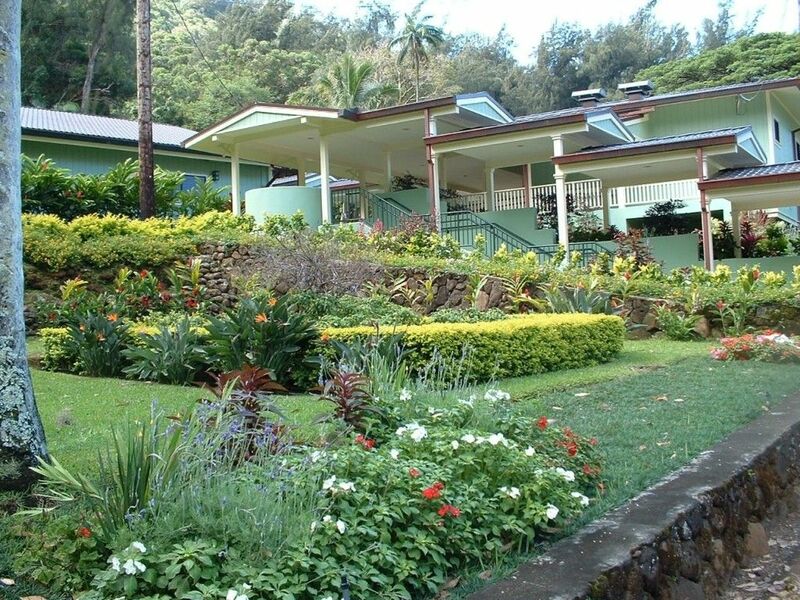 This 4 day, 3-night retreat will be held on beautiful serene grounds in Kalihi Valley at the St. Anthony Retreat Center on the island of Oahu. Come, leave behind the distractions of life for a time long enough to allow his graces and a conversion of heart that is critical to deepening one’s faith. You can look forward to spending your time retreating in prayer, reflection, and meditation through Adoration, Confession, Spiritual Hula, Daily Mass, Divine Mercy, Healing Service, Stations of the Cross, and Lectio Divina. You will have an opportunity to hear and participate in talks with our local Clergy, Daughters of St. Paul, and the Sisters of the Sacred Hearts of Jesus and Mary. All registrations must be completed on Eventbrite. All sales will close on 24 January 2019. There is limited time, so if you are interested in attending, I highly encourage you to register as soon as possible. If you are in need of financial assistance for the lodging and meals portion, the Abbey has so graciously offered a very limited amount of scholarships for that portion. Please email centralcoordinator@nullmccw.org for more information. There will be basic linens and towels provided. The rooms are in historic buildings and accommodations vary with dormitory style and communal showers and restrooms. Bring personal items, spiritual items (rosary, bible, veil/pashmina), toiletries, and any additional comfort items. We also recommend bringing earplugs if you have trouble sleeping with roosters. Rooms are sparse, with twin bed and a small nightstand. St. Anthony’s is Honolulu’s oldest Catholic retreat center. They are proud to serve their community. From the lush green well maintained grounds to the guest accommodations, they strive to make retreat experiences a time to encounter the Lord. They offer two Chapels, historic buildings, outside walking stations of the cross, shrines, walking paths, beautiful gardens, and landscaping. Please do not pick any flowers. They are there for shared enjoyment. Check-in will be offered each day. Thursday, February 7 at 5 pm: The retreat team will be waiting to welcome you with light refreshments outside on the Sacred Heart Hall lanai from 5-6 pm. You will be escorted to your room where you can place your personal items and then enjoy fellowship with your retreat sisters. Dinner will then be served at 6:15 pm. No, unless they are nursing infants/non-mobile. Day-trippers: nursing babes are allowed. No mobile infants and no other children under the age of 18 are allowed. This is the policy of the Retreat Center. Thursday- light refreshments, followed by a full dinner. The Registration Fee is not refundable; however, you are able to transfer your registration to another woman. Please Contact Brenda Nonnweiler at brendanonnweiler@nullgmail.com if you need to transfer your registration. Please dress comfortably but with a spirit of respect for the spiritual nature of the retreat facility. Temperatures in February will range from 78 high 63 low. Please consider bringing a sweater, rain jacket/umbrella and comfortable shoes for walking the stations of the cross. We will have outdoor activities to include walking outdoor stations of the cross, and evening fireside fellowship. Consider bringing bug repellent, comfortable shoes, and a sweater. We will have discernment for the MCCW Pacific regional board. Here is a link of available positions and a contact sheet for you to review. More information will be provided at the retreat regarding discernment and the positions.